we believe that hope can transform lives. This christmas season, you can give tangible hope by donating to our kenya christmas campaign. funds donated will go to the 4 gift opportunities listed below. This is Lynn. Our local partner rescued her just a couple weeks ago. She is nine years old, and one of five children to a single mom. Her dad left them several years ago. Lynn fell out of a tree and dislocated her wrist, causing the bone to go through her skin. She was very malnourished and in a lot of pain, and had no access to medical care for a month and a half until we found her. 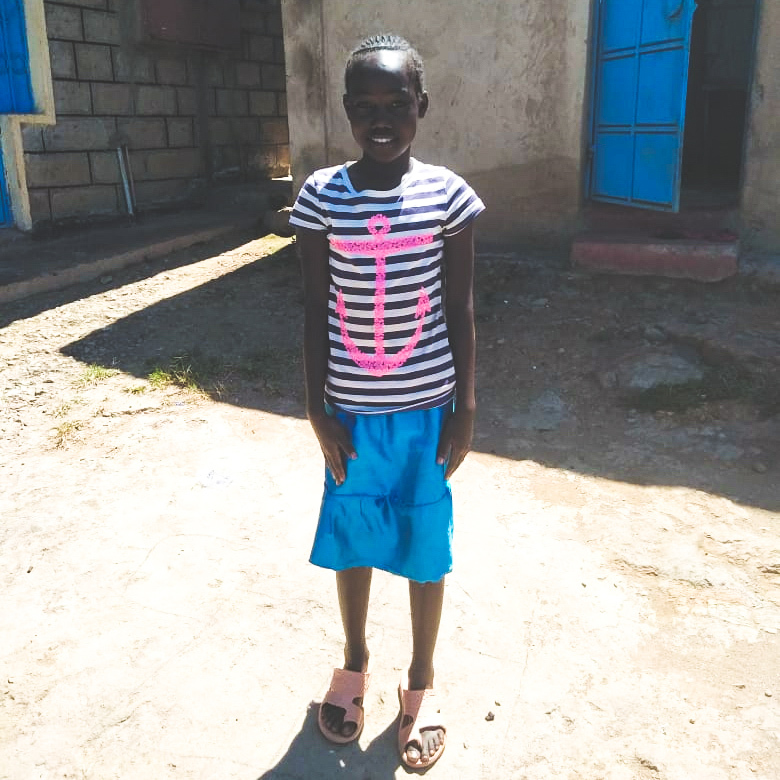 Our local partner immediately took her to the hospital, and later brought her to live in our girls safe home. The bone is infected and she needs surgery within a week, which will cost $3,220. Christmas is when every child in our program receives a gift — whether they’re sponsored or not. We’ll combine your gift donation with others to purchase gifts of equal value so no one is left out. Your participation is vitally important to make this possible. Christmas presents are purchased locally. A staff member who knows your child personally will pick out a gift he or she needs or has been hoping for. gifts are distributed during a special celebration celebrating the birth of Jesus. $575 WILL PROVIDE a gift for all 23 children in our care. If we raise more than $575, we will be able to bless them even more. We suggest a gift of $25 per child. WE WOULD LOVE TO TREAT THE KIDDOS IN OUR CARE TO A SPECIAL CHRISTMAS MEAL! BECAUSE THEY ARE NOT ALL FULLY SPONSORED YET (CLICK HERE TO SPONSOR A CHILD), WE OPERATE ON A TIGHT BUDGET. A DELICIOUS MEAL WOULD MAKE THEIR CHRISTMAS EXTRA SPECIAL AND PUT A BIG SMILE ON THEIR SWEET FACES! the missionary in Kenya we are partnered with DOES AN AMAZING JOB RUNNING THE SAFE HOUSE AND carING for the children 24/7. She pours her heart and soul into loving them, and always puts their needs before her own. She has not had a break or a vacation in a very long time, and she needs some time away to get refreshed. We would love to give her a week vacation to mombasa, which is a beach town in Kenya. It will cost $900 to cover all expenses for the week.